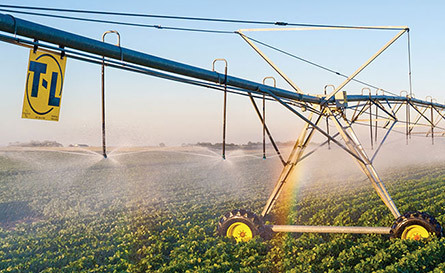 Hydrostatically powered, T-L’s pivot irrigation systems are designed to deliver continuous movement. Gearbox wear is drastically reduced due to the absence of electrically driven system’s stop-start operation. In addition, water and chemicals are evenly distributed over the crop. 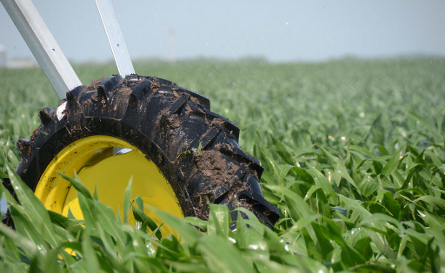 T-L center pivot systems deliver the best, most consistent water pattern available. 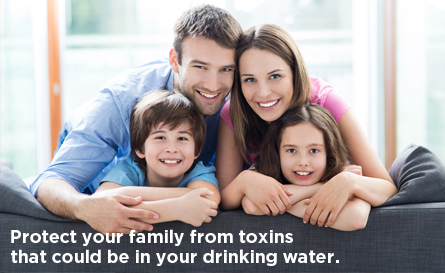 Protect your family’s health by providing fresh, great tasting distilled water from one of our premium water distillers! Christensen Well & Irrigation frequently trades in used center pivots. Click here to view our current inventory. Contact Casey caseyc@hartel.net at 402-841-9699 or 402-254-6809 for more information. 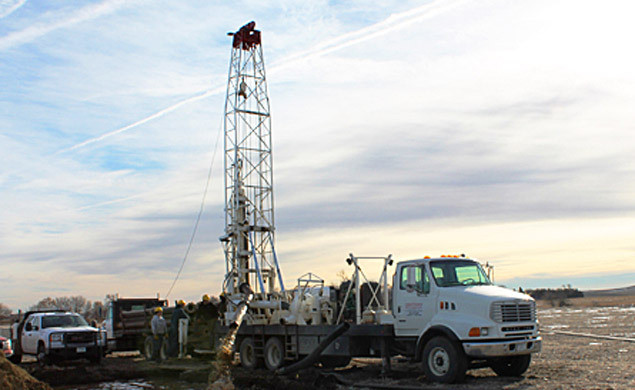 Christensen Well & Irrigation, Inc. is your professional in the water well industry, with over 40 years of experience and knowledge on the geology of northeast Nebraska and southeast South Dakota. Christensen Well & Irrigation, Inc. can take care of your project from start to finish. Christensen Well & Irrigation, Inc. is a long time member of the Nebraska Well Drillers Association and the National Groundwater Association. Christensen Well & Irrigation, Inc. is licensed in the states of Nebraska and South Dakota. 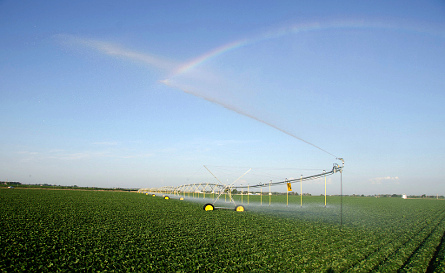 T-L center pivot irrigation systems are protected by comprehensive manufacturer’s warranties. Planetary gearboxes are guaranteed for 8 years/24,000 hours, and worm gear drives are protected for 8 years/16,000 hours due to our hydraulic design and continuous movement performance. This warranty is unmatched in the irrigation industry and reflects T-L’s confidence in the system’s design and field performance. 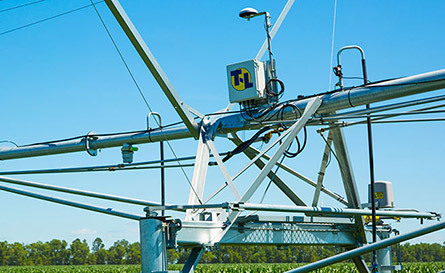 T-L has been successfully active in irrigation for 55 years and continues to bring the tried and true principles and advantages of hydraulics into the 21st century. T-L combines hydraulics with new electronic system management technology, and has a corporate mission to continuously improve product quality. Good management is essential to farming success. 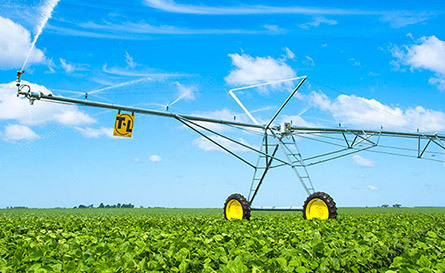 T-L’s simple center pivot irrigation design and reliability lets you manage your farm instead of being dedicated to irrigating. T-L’s reliability gives you the additional peace of mind of knowing it is running. Your complex world is simplified and easier on you. 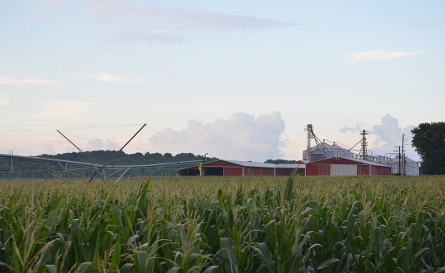 T-L’s pivot irrigation systems are constructed with high-strength truss rods and a double tower-leg design. Components are zinc coated by T-L’s galvanizing plant to prevent rust. 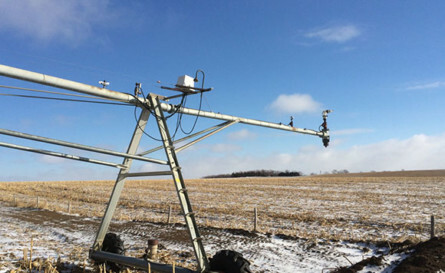 Features such as external flex joints, unexposed drive shafts, no universal joints, and the absence of contactors and fuses contribute toward making T-L center pivot irrigation systems trouble free. Christensen Well & Irrigation, Inc. is your professional in the water well industry, with over 40 years of experience and knowledge on the geology of northeast Nebraska, southeast South Dakota, and northwest Iowa. Christensen Well & Irrigation, Inc. is a long time member of the Nebraska Well Drillers Association and the National Groundwater Association. Christensen Well & Irrigation, Inc. is licensed in the states of Nebraska, South Dakota, and Iowa. With numerous licensed well drillers/pump installers on staff, they are ready to professionally complete your project from start to finish. 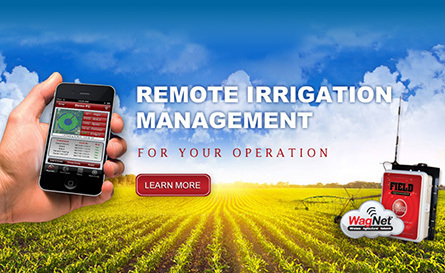 Whether it be a domestic, pasture, livestock, or irrigation, Christensen Well & Irrigation, Inc. can assist you. Christensen Well & Irrigation, Inc. is also a T-L Irrigation Systems Dealer and can service and repair ALL brands of Pivots.